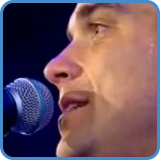 The hugely successful piano ballad ‘Angels’ was written by Guy Chambers and Robbie Williams. 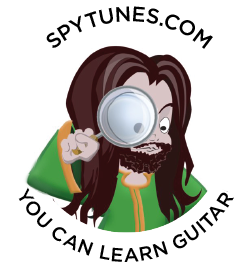 Spy Tunes’ one guitar arrangement of ‘Angels’ is an example of how you could arrange piano parts for one guitar. The first chord, a C shaped E major, uses the low E string and a pattern moving between bass note and chord to imitate the piano part. Further down the arrangement, open strings are incorporated in order to make the arrangement sound as big as possible. These chords, because of the open strings incorporated now get some strange sounding chord names. There are four sections in ‘Angels’, each moving to a different area of the key. Let’s take a look at all of them and what chords they use. The verse mainly focuses on chord I (Ionian). The bridge moves between Dorian (chord II) and Lydian (chord IV) to create suspense. 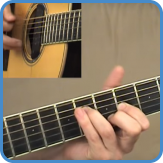 The Dsus2 (bVII chord) creates tension. The chorus starts on chord V and takes four bars before we feel a sense of relief, hitting the I chord again. There are more chords in the chorus as well as a modulation for the solo. We look into that in the advanced guitar course. 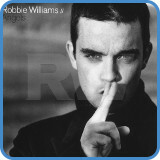 The original version of ‘Angels’ was decorated with a massive production, including a full band and string orchestra. To incorporate all this on just one guitar is, of course, impossible. It comes down to picking the most important parts. A full understanding of the chords movement and what the melody does is needed to build the arrangement. 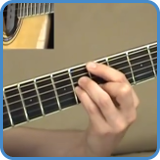 In the advanced course, we learn the song exactly as it is played in the video lesson but we don’t stop there! 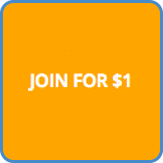 We also play the vocal melody and improvise over the chord progression. For complete lyrics, go to Angels lyrics.